Farah Fahad has an impressive résumé: She’s got a master’s in clinical psychology, is a licensed and registered dietitian, created the blog The Farah Effect, and worked on set as a nutritional consultant for one of the most popular weight-loss television shows, The Biggest Loser. Given her background, Fahad combines her extensive knowledge of psychology and nutrition to understand the human psyche and how eating habits are established and maintained (plus how to break bad ones!). Fahad is a wealth of knowledge on all things healthy and wholesome, which is why we’re thrilled to have her on board as a newly minted Byrdie contributor. Today, she’s sharing a delicious (and good-for-you) gluten- and dairy-free cookie recipe. I created this recipe because I have a huge sweet tooth, but I also only like to put healthy things into my body. These are so delicious you won’t believe they’re good for you too. I use quinoa flakes so anyone who is gluten-free can have them—quinoa is also one of the highest-protein grains. All the fats I use are super healthy: Everyone’s favorite coconut oil and almond butter are great for your skin, and walnuts are excellent for brain health. I’ve also added cocoa powder, which is a powerful antioxidant. 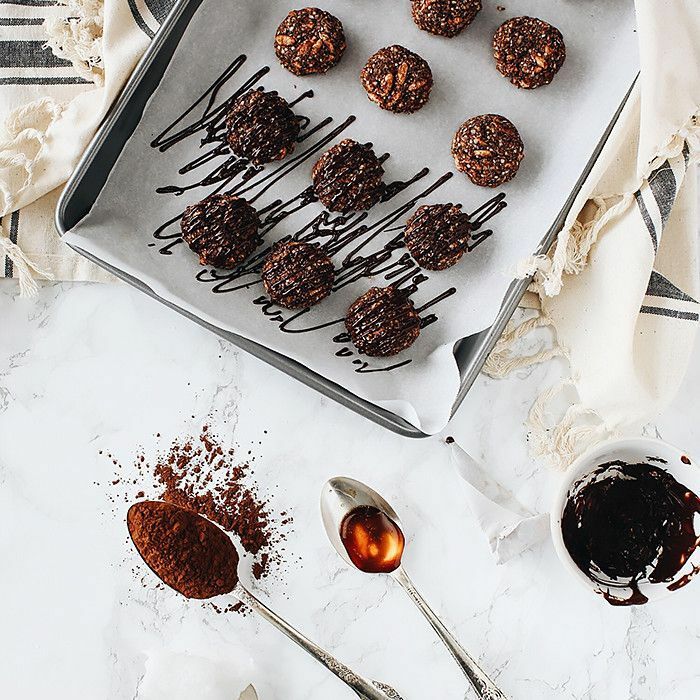 Finally, they’re sweetened with dates—which adds vitamins, minerals, and fiber—and a touch of honey. The best part: There is no baking involved! Take a look at the recipe below.